I got out before the birds this morning to pick blueberries while the temps were still bearable. The crop of blue gold has been abundant this year. This is not always the case because the fickle weather can take its toll on the harvest, so we've picked diligently and our freezer is full of them. There's an art to picking blueberries. Standing in front of a head-high bush, I pick all the berries on one limb before moving to another. But the instant you move to another vantage point, you see dozens hiding behind limbs and leaves. By the time you make it around a bush, you feel as if some ripened during your journey. It used to frustrate me, but these days I consider it a form of meditation. Pick a while and then squat to get a different perspective. It's almost therapeutic. Perhaps I should write a book entitled Zen and the art of picking blueberries. We now have a dozen bushes but I plan to plant another dozen this fall. We plan to barter with our local produce market. After we've filled our freezer, we'll let the stand sell our blueberries for credits toward buying cantaloupe and watermelon. Y'all have a safe and happy Fourth of July. Shoot! I love blueberries and have to buy them at the store. 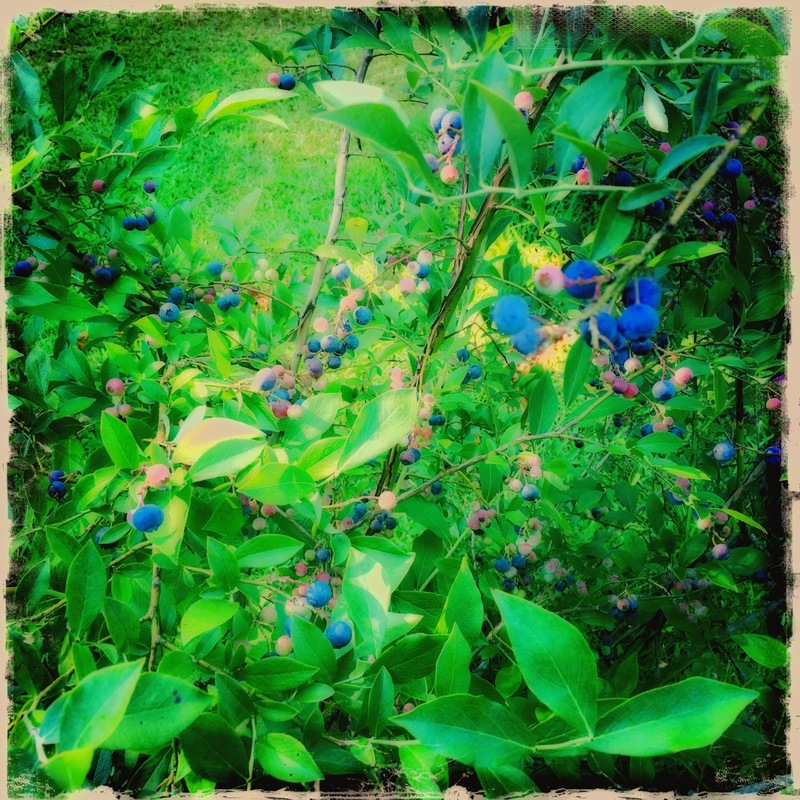 I would love a blueberry bush! Would one produce enough for me? I'd get a couple for cross-pollination. But a couple healthy bushes would produce a lot of berries. They are really a good shrub to have because they look good year around. They do need a good bit of sunlight. And, they want pine bark mulch around the roots. Lisa, I don't know where you are, but here in NC the Tifblue variety is an excellent variety. It will self-pollinate, but having another variety for cross-pollination will increase the production. (Premier is another variety I like, but my Premier bushes died. I am not fond of the Delight variety.) Tifblue is the standard here. I second Rick's recommendations for a good bit of sun and pine bark mulch. Bartering is almost a lost art. It is a wonderful way to benefit both parties. Blueberries are ranked as one of the healthiest foods, with benefits for brain functions. Good for you to be able to grow them, pick them fresh and probably enjoy them year round! Blue gold for sure ! How wonderful to have your very own to enjoy. Keep picking the healthy fruit!